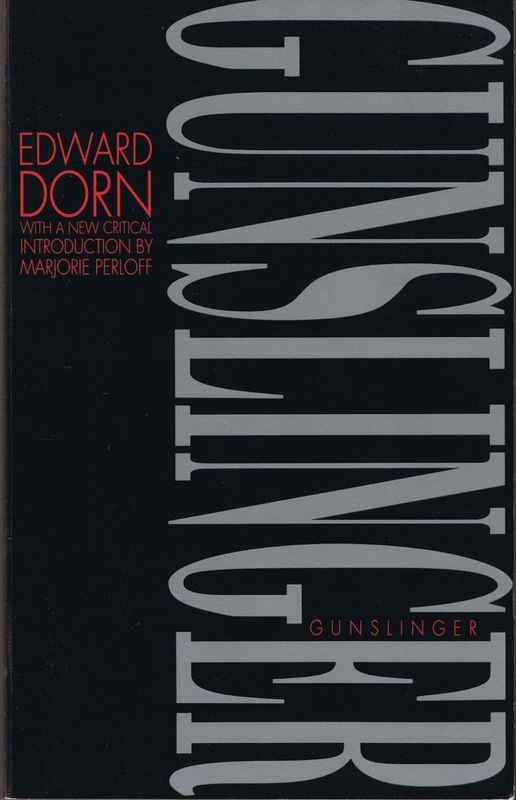 So opens Edward Dorn’s classic epic poem, Gunslinger, an opus spanning four “books” that takes the reader through the post-modern cultural landscape of 1960s America. Written between 1968 and 1972, it is a modern version of Homer’s Odyssey with a little bit of Dante’s Divine Comedy and Chaucer’s Canterbury Tales all rolled into one. The title Gunslinger, as indicated in the introduction by Marjorie Perloff in the 1989 Duke University Press edition, is a take on the mythic Western “lone gunman” who moves through the Wild West, guided only by his own inner sense. Dorn’s Gunslinger does the same, only the Wild West he moves through is the counter-culture of the 1960’s. In spirit, tone, and composition, Gunslinger both draws upon and captures the zeitgeist of the times. The term "lone gunman" brings to mind two of the foremost lone gunmen of the 1960s: Lee Harvey Oswald, the assassin of President John F. Kennedy, and Charles Whitman, the tower shooter at the Texas A&M building. Additionally, reinforcing the Western theme, both are Texans (and ex-marines), which also figures into the Western myth of the lone gunman. Dorn criticizes the culture that breeds this violent creature by satirizing the primary heroic icon of the era. Gunslinger is published at a time when the myth of the Western hero is just at the end of being the classic heroic icon of the era. In 1964, Clint Eastwood’s “Man with No Name,” star of three Italian spaghetti Westerns, makes his debut in A Fistful of Dollars, and the blending of the Western myth with a capitalist slogan anticipates Dorn’s thesis. 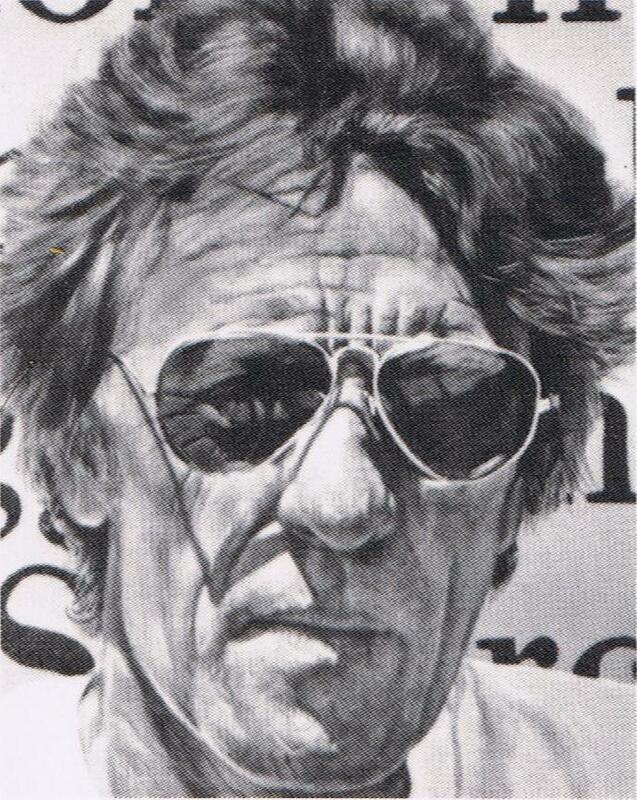 Gunslinger, published in 1968, took years for Dorn to compose, so the book’s creative genesis comes at a time when the traditional view of the Western hero was just beginning to be challenged. As such, Gunslinger is symptomatic of a deeper current in the mass consciousness of the 1960s. A skepticism expressing itself spontaneously in various media, and challenging traditional norms by embracing, and redefining, our iconic cultural heroes, such as the rugged individualist, the loner, the cowboy, the thief, the lawman, the lone gunman — the Gunslinger. In the immediate post-World War II era, the “Western” as a genre dominated film and TV. For many reasons, too numerous to count here, the Western myth was very compelling to American audiences of that era. Dorn purposely taps into the same vein that is feeding Hollywood and Western culture and turns it on its head. The inclusion of characters named Horse, Kool, and Tonto reinforces this point. The wildness of the West is explored through the drug culture. 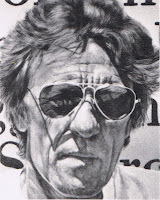 In each of the four books that comprise Gunslinger, drugs, such as marijuana, LSD, or cocaine, are integrated into the story at some level. This combination of an alternate take on a mass media icon, the gunslinger, and the drug counter-culture, creates a sort of baby boomer tall-tale. The tall-tale, of course, being another facet of the Western myth Dorn is satirizing. Dorn also utilizes numerous styles and stanza patterns in Gunslinger. Free form, four-line numbered stanzas, visual poems, etc. This does not distract from the focus of the work, but rather provides different "voices" in which to tell the tale. Very much like a group of friends sitting around a table, each one picking up telling the story from where the other leaves off. In this way, the work echoes Canterbury Tales, which helped established this approach to uniting various tales under one general theme. Gunslinger utilizes a rhizomatic approach where the poem is an organic form without a heavy central structure to tie it down to predictable patterns. Gunslinger is exploring chaotic times, so the structure, or lack thereof, of the work mirrors the society it reflects. Baby Boomers are the intended audience and will be most familiar with the cultural references, though some may be pretty obscure even for them. Readers may have to look up a few references to more fully appreciate the work, but I found these few and far in-between and Dorn largely draws upon more familiar elements to structure his tale. With its roots in popular culture, Gunslinger is a very approachable and fairly accessible book. Due to its length, it’s definitely a challenge; however, if you enjoy the poetry of Allen Ginsberg or Lawrence Ferlinghetti, Gunslinger will very much be at home on your bookshelf.